What is Ian like in the movie? I can't wait to see it. saw the movie in new york last week. ian is fab in it but not in it enough in my opinion. 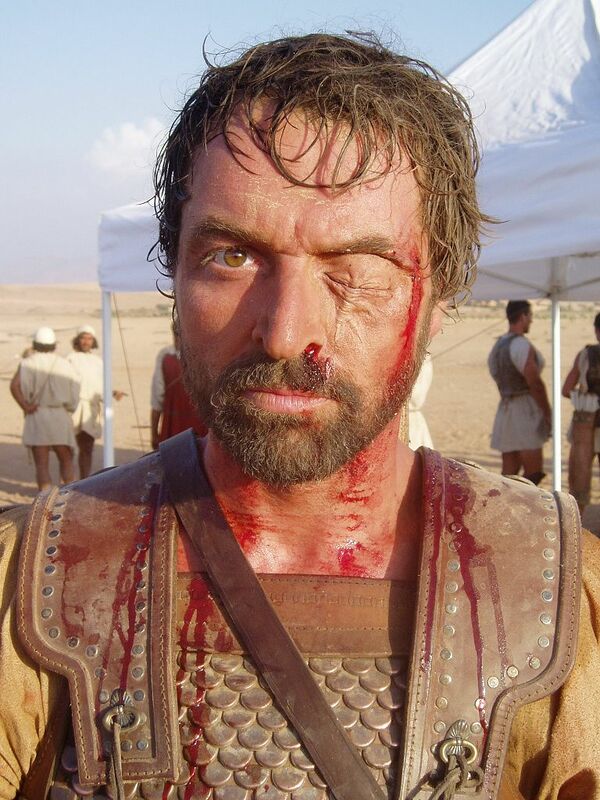 he looks fab with the one eye and is particularly good in the battle scenes. he also is great during parmenion's death. Yikes!. That really looks real. That is great.. I watched the movie again today,he looked so relaistic and played the part exceptionally well.. I agree especially on the battle scenes.Wow what an amazing guy. Was Antigonous a good friend of Parmenion? did he really went to kill Parmenion at the end? In the movie seems like he was agreeing in whatever Parmenion had to say. Did Alexander really get Antigonous to kill Parmenion? maybe its just a discrepency or error made in the film to point out Antigonous and Paremnion as close friends, But then come to think of it they both served Philip and Paremnion was popular amongst the soldiers , and even second in command after Alexander,so it may have been likely that they had been friends.